I haven’t written in a bit because I haven’t been sure how to word what I wanted to say. I was in Colombia for two weeks, and I wanted to write a bit about how it was there. I decided not to take my camera out and about in Colombia most of the time, due to the amount of muggings that happened to my friends and people I met there. 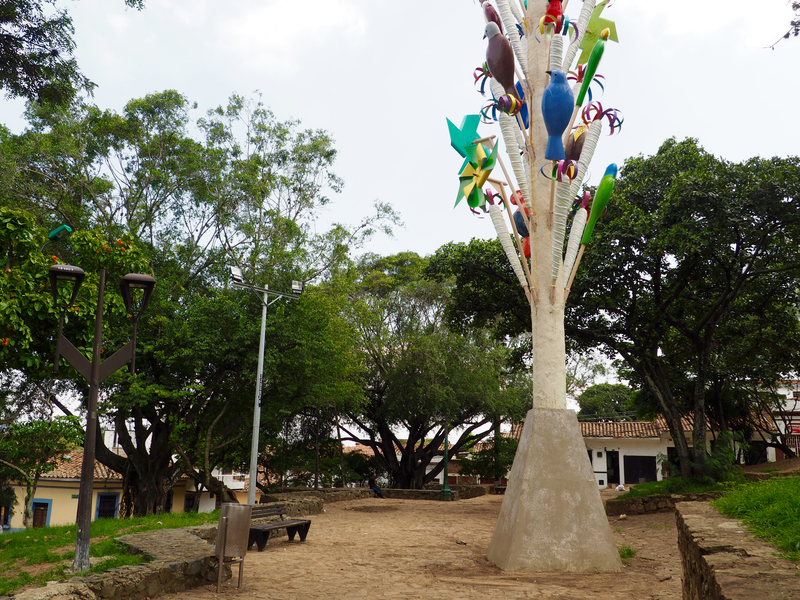 I wanted to do a post of all of the beautiful art in Colombia, but I don’t have many pictures. What I DO have, though, is a lot of crazy stories about what happened in Colombia. A lot of people have asked me what it was like there, tourist-wise and safety-wise, so I’m going to give you the full rundown. I would first like to say that although it felt really dangerous in Cali (it is the most dangerous city in Colombia, which is one of the most dangerous cities in South America), I did have a lot of fun there. The hostel that I stayed at was great (check out El Viajero if you go to Cali), I met a lot of really awesome people, and I really enjoyed being there. I did get a bit stressed out hearing about what was happening to other people, so I didn’t go out any more than I needed to. I basically just went out to get food and groceries, plus one day I walked to the park (which was about three blocks away…). 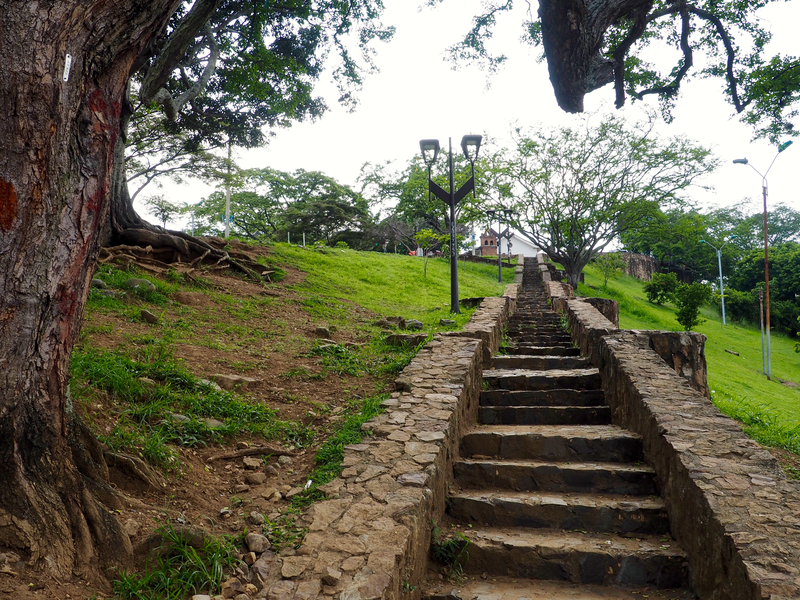 These are the craziest things that happened in Colombia. the day I arrived, I made some friends. They told me that they were out the night before, and right outside the hostel, a large man came up to them. The man put a knife to the girls stomach and tried to rob them. The guy and the girl ran to the hostel and kept all the money they had just gotten out of the ATM, successfully getting away from the mugger. people were snorting cocaine in my dorm room. That moment is when I made the decision to live in luxury in a private room. I met an Australian girl at the hostel. She arrived the day after me. A few days into her stay, she went to a futbol game. It ended late at night, and she had to wander the streets to look for a taxi. She was with one guy. While they were walking and looking for a taxi, someone came up and started beating up the guy she was with. The attacker was trying to rob them. Someone else came from out of nowhere and peeled this attacker off of the guy she was with. They ran away and were able to get a taxi back to the hostel. I got really extreme food poisoning and was sick for two days. This prevented me from going to Ecuador when I had planned to leave, which prevented me from being in the middle of a 7.8 magnitude earthquake. Had I left when I was supposed to, I would have been on the coast of Ecuador when the earthquake hit. I never thought I would be grateful to have gotten sick. Almost every time I walked around (it didn’t matter if I was alone or with someone), almost every single guy I walked past would make disgusting kissing noises. Some of them were nicer than others, some just said “hola mi hermosa,” but some of them got pretty vulgar. It wasn’t the most enjoyable thing, but it happens at home also. All of these stories together sound really bad. But I did go out dancing one night (I didn’t bring anything with me of course), and aside from getting a lot of offers to buy drugs, nothing major happened to me. I didn’t get mugged, I didn’t get assaulted, nothing happened. I actually danced with a local older gentleman who attempted to teach me some salsa and even sent a beer over to me after he saw how miserable I am at dancing. I accidentally ended up in a gay bar. It was a fun time, even though I’m a grandma and wanted to go home at midnight. All in all, I really liked Colombia, and I met a lot of people who had been there for months and had no incidents. It really comes down to being smart, not wandering the streets at night, don’t carry valuables on you, and pay attention to your surroundings. I would love to go back to Colombia and see the northern part, which I missed on this trip. Colombia is beautiful, and can easily be done in a safe way. Santa Rosa de Cabal (where we did the coffee tour) is a really safe and cute town. Bogota was very cute and artsy. I would still recommend Colombia to anyone traveling in South America. I am so glad you use your gut instinct on different situations. My nieces went to Bali and Indonesia and while riding in a cab the men tried to pull them both out the windows by their hair. I mentioned this to you on the very beginning of your trip. Although beautiful sometimes the men can be vicious. Right place at the wrong time is all it takes. I wish you well in Peru (lucky bum) and Thailand. (In my dreams). Its not the lack of money for me but my fear of flying. So a slow boat to China for me. Ha! Amanda Around The Globe, you’re amazing and a great source of inspiration.